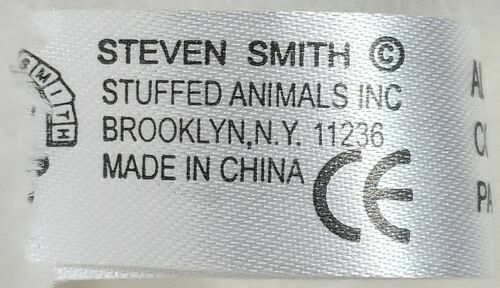 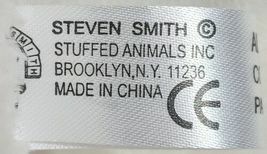 Brand: Steven Smith Stuffed Animals INC. 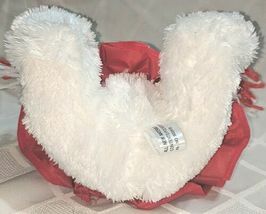 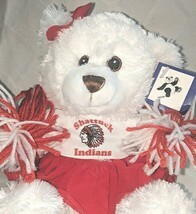 The bear is entirely white, with a brown stitched nose, and brown and black stitched eyes. 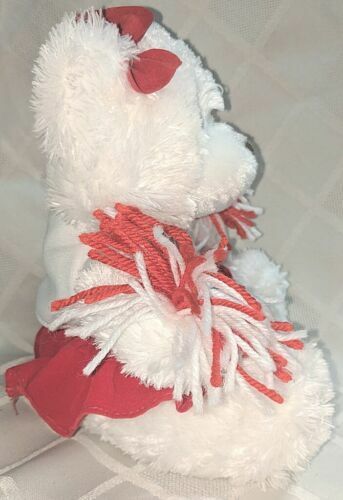 The bear has a red velvet bow on its ear. 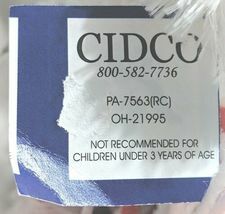 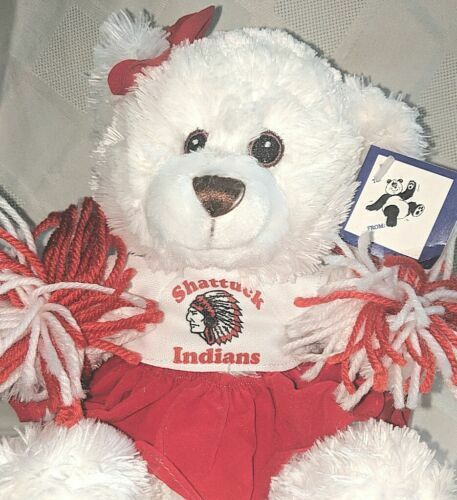 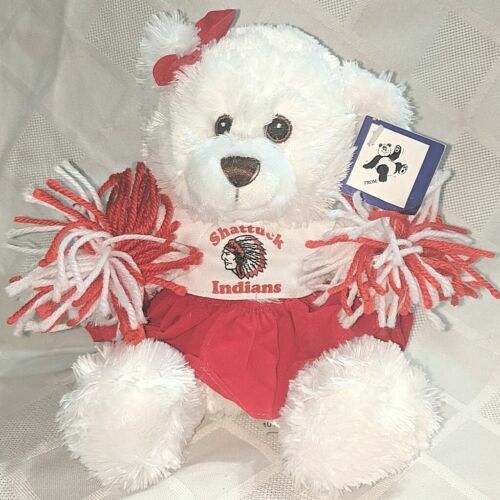 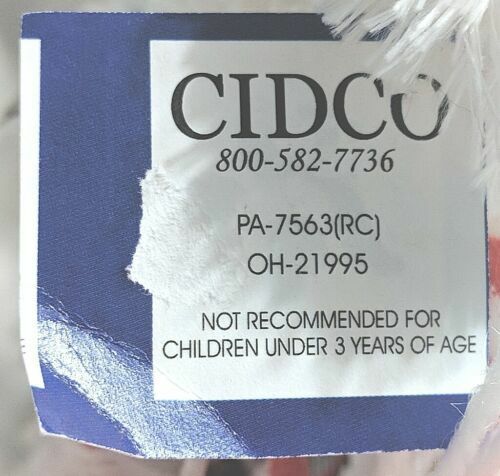 The bear is wearing a white T-Shirt that says Shattuck Indians in red on it and has a red and black Indian head on it, and a red velvet skirt. 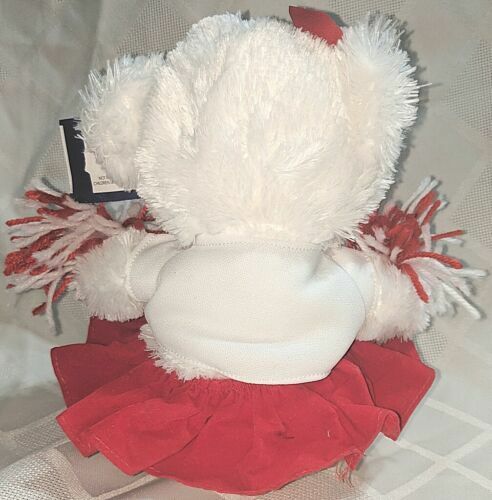 The bear is hold two red and white string pom poms.